Oatmeal is a famed breakfast cereal lasting throughout the centuries. It’s believed to have been discovered in the British Isles. There are many ways to eat oatmeal. Oats can be rolled in order to hold more liquid while being cooked. Oats can also be steel cut for a thicker texture. And thanks to the passing of time, instant oatmeal provides a quick way to get the nutrients you need. However, National Oatmeal month can be celebrated in other ways. Instant Oatmeal, the successor of “Quick-Oats,” from 1922, go public. Quaker Oats first registered as first trademark for breakfast cereal. Oats and their recipes were brought over to the New World by European Explorers from the British Isles. The best part about Oatmeal is even if you buy plain oats, the recipes you can make at home are endless. There are all sorts of fruits and honey you can mix in, or if you like food as natural as it comes you can add nuts, and other grains such as, almonds and quinoa. Even spices like cinnamon or pumpkin pie spice enhance flavor without adding extra calories. Oatmeal has not changed too much of the centuries, and that is what makes it perfect for beauty products. Oatmeal is known for protecting the skin and soothing it during the roughest of seasons. You can find online D-I-Y versions of body bars, facial masks, bath bombs, and body scrubs infused with oatmeal. Work oatmeal into your craft projects. For example, if mixing one cup of rolled oats with half a cup of flour, and half a cup of water produces a non-toxic clay. You can even add food coloring to give your sculptures a pop of color. Oatmeal can also be sculpted to make jewelry and tiny beads. They've got lots of important vitamins, minerals and antioxidant plant compounds, and a good balance of fiber and protein. They're rich in antioxidants, including avenanthramides, which may help reduce blood pressure. They contain large amounts of beta-glucan, a type of soluble fiber, which can help lower blood sugar and cholesterol levels. Oatmeal tends to have the proper amount of daily fiber needed. Despite the sweet aroma they give, oats have a lower glycemic index compared to other whole grains. They also offer lots of energy with the crash! Oatmeal can lower cholesterol significantly by using the anti-oxidants in the meal. Eating Oats also controls blood sugar of those living with Type 2 Diabetes. High – blood pressure can also be lowered with a bowl every day. Pus, thanks to the high amount of dietary fiber, oatmeal keeps us full and can shed off weight. 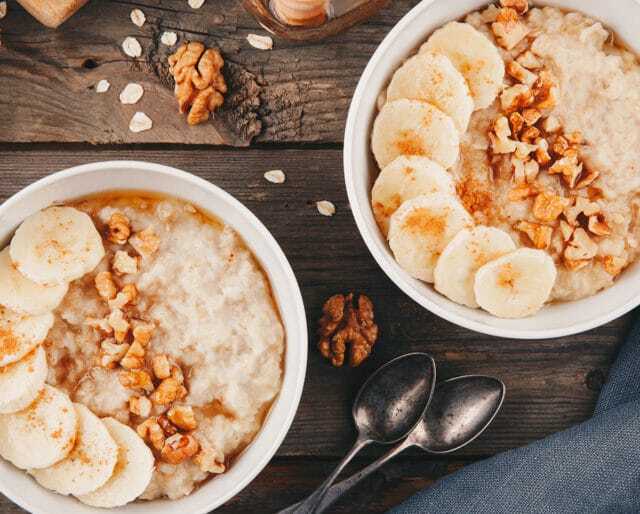 Oatmeal is the best solution for getting ‘the munchies.’ It is a wonderful breakfast food for those on the go by keeping us full until lunch. It also suppresses late night cravings without giving into the guilt of tons of calories per bowl.